Don’t you love discovering a new find before all your friends? We do too, which is why we were excited to run across Blink on Product Hunt this week. 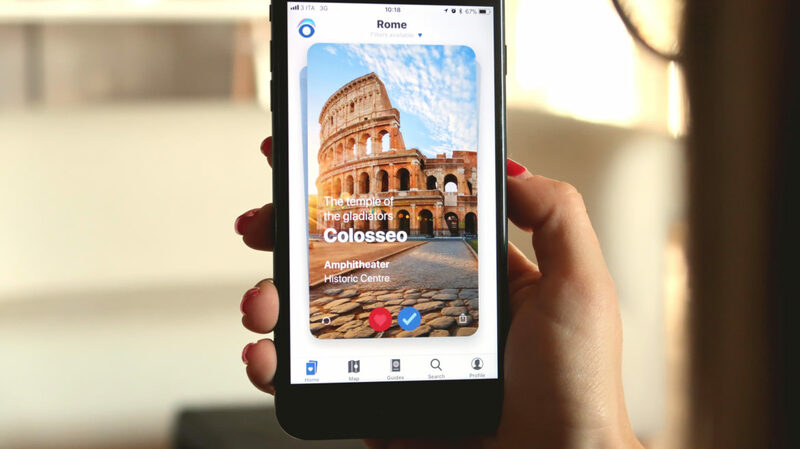 The immersive travel guide app touts itself as being “like Tinder, but for places.” Imagine a curated collection of guides, itineraries and interactive maps paired with the thrill of the swipe. [Blink] helps you find the best attractions and experiences in a totally visual and fun way. Instead of getting lost on the net you find all the inspiration ready, so you can focus on choosing your next memorable moments. The app launched 12/19 on Product Hunt and will be launching worldwide in a few weeks, so its content is still limited to a few cities. Emilia, Rome and Sicily, Italy are all natural bets as the app developer and team are Italian. London and New York are rounding out the list for now too. Already getting rave reviews, we’re pretty sure this freemium app will take off in no time.